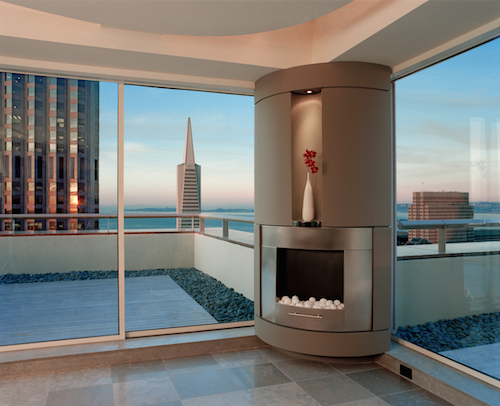 This downtown San Francisco penthouse with spectacular views was designed to “Borrow” light to flow through the spaces and maximize the unique architectural forms of the interior during both day and night. Since natural light comes through windows on the NE side, one challenge was to create a lighting design that helped compensate for high daylight contrasts while capturing and redistributing natural daylight. 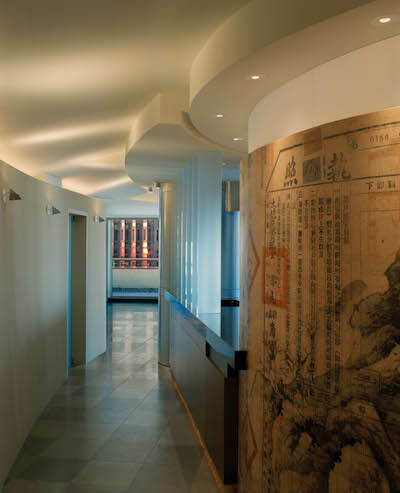 Early collaboration with architect allowed us to suggest locations for translucent panels and internal fenestrations while building a large portion of lighting within the architecture to balance the contrast. To maximize ceiling areas, the architect designed around a complex maze of existing mechanical, structural and sprinkler locations. Our challenge was to select lighting fixtures and locations that would complement and work with the ceiling design and architecture. 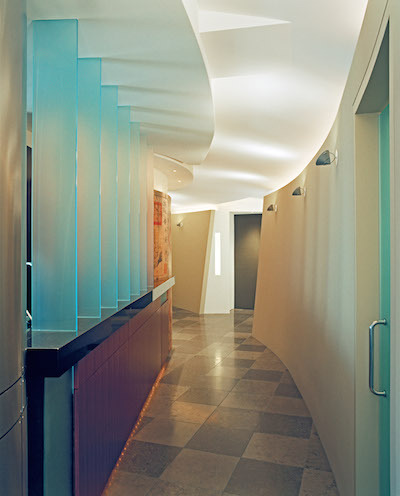 Flexible xenon strip lighting was selected for its ability to adapt to the various ceiling curves. 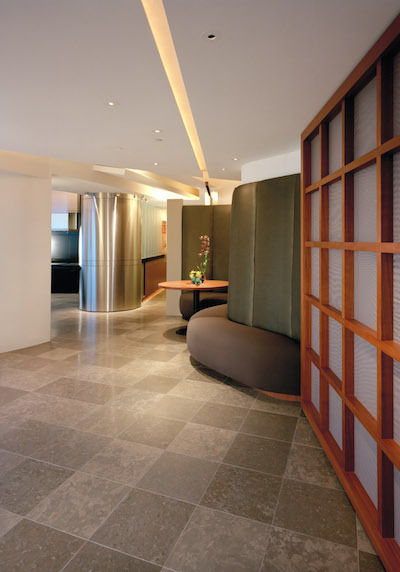 Trim less ceiling fixtures with adjustable halogen lamps were selected to compliment the minimalist interior. The design intent was to maximize the movement of daylight throughout the flowing architectural forms. This created a challenge to design a lighting system thatbalanced and supplemented the dynamic daylight. Highlighting surfaces, capturing light in semitransparent glass and creating continuous paths of light help enhance the organic architectural forms while the sophisticated control system responds to the ever changing daylight. The photographs were taken throughout the day and evening to demonstrate our solutions. 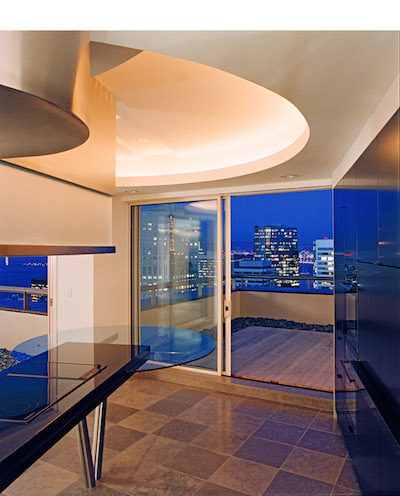 The lighting control system was designed to accommodate day and nighttime scenes while providing maximum flexibility, energy conservation and convenience. Several pre-sets were programmed to meet client’s life style and needs. Photocells and occupancy sensors are used in some areas to automate the lighting depending on daylight contribution. Nightlights for client and guests are automated through an astronomical time clock. Keypads are located in several convenient locations.